Shizuku Tsukishima is a bit of a book-worm, spending her last summer vacation in junior high school reading and translating popular foreign music into Japanese. With aspirations to one day become a writer, Shizuku can’t help but notice that the name Seiji Amasawa appears on every one of the books she borrows from the library. Through a series of curious and magical incidents, she comes to meet Seiji and discovers he has dreams of becoming a famous violin maker in Italy. While their life-long goals pull them in two different directions, Shizuku and Seiji are determined to remain true to their strong feelings for one another. 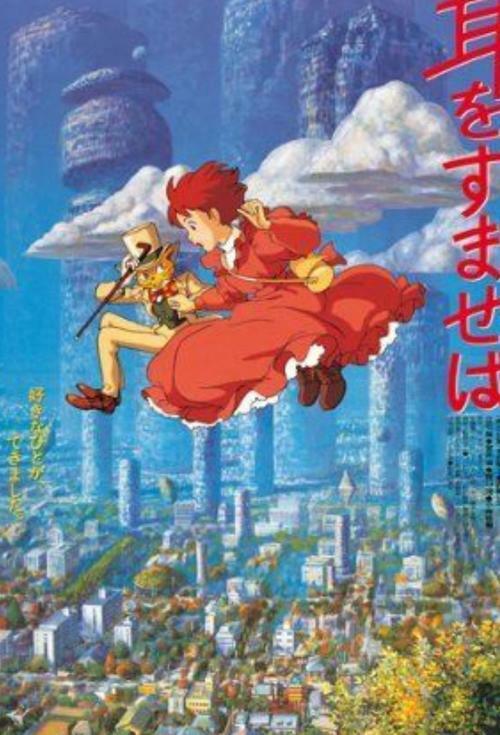 Ghibli up-and-coming talent, Yoshifumi Kondou – who passed away only a few years after its release.